There's a new trick running around that gives 1 month internet for free, but the usual problem it has 10MB per day limitation and it only allows you to surf ayosdito.ph domain, well that's not free at all since your just going to browse ads at ayosdito. Here comes our heroes, the opera mini modifiers which basically looks for loopholes to bypass data allocation and browse any site on the net, and that's what we are going to discuss on this post. 1. First, register to FREEAYOSDITO to 8888 for free. This will register you to 1 month internet with 10MB per day. Leave other settings as is. Check the picture below for more info. 3. 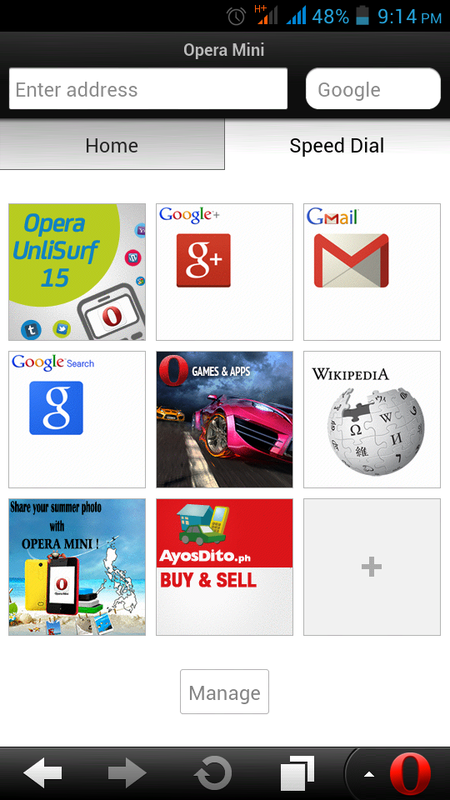 Install the modded opera mini and enjoy downloading and browsing. Note: The FREEAYOSDITO promo of Globe will still work on other phones, OS, PC but won't get the benefits of this tutorial. working pa po ba toh sir? sir, noong nag reg ako sa FREEAYOSDITO to 8888, hindi na raw existing yung promo na yun. Sorry, the promo you are trying to avail no longer exist.